We mean it – the hottest area in technology now is data analytic. You can also call the players WANTS, just like Quants in the investment banking field. OK, they also go as Data Scientists. These are guys/fields that focus on crunching the massive data social media and new technologies are churning out minute by minute. Companies want to make sense of them – they truly want because without that capability, they cannot have intelligence on their products, websites and indeed all areas of their operations. Facebook will not improve with having a way to analyze data they get from millions of their users. HP, EMC, Google, Microsoft, and a host of the tech giants are buying these companies. They are the pinnacle of mathematical finesse and analytical bravado. They crunch meaningless data sets and provide your information that no one ever imagined. The leader of this pack is Cloudera. We also have Informatica. There are many of them and Africa needs to get into this. This is brain work people and we need to connect quick and fast. What do you need? You need to be very very good in mathematics and statistics. You need to be sound in machine learning and heuristic algorithm development. If your statistics measures up very well, it is possible you can write these codes and easily be acquired by someone. The barrier of entry is very high because this is not the domain of hackers and lucky-software coders. You need to be very good and know the stuff. To begin, you need to understand the open source engine that drives most of these companies. 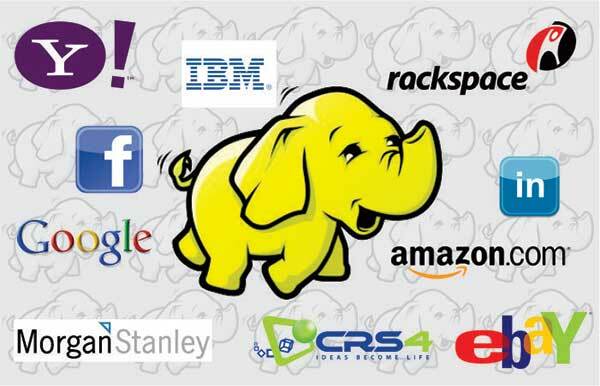 That engine is called Hadoop, after the toy elephant of the son of the man, Doug Cutting, that created it. Get to know Hadoop and if you think you are ready, email tekedia@fasmicro.com and let us discuss how this can work out. We have some Nigerians in U.S that want to get into Hadoop (they know the software but do not know the maths section. These are investors; we will connect you). They are looking for partners – first rated statisticians and mathematicians.